I have to confess, even though I love Sephora, every time I step into it, I get intimidated by the amount of products and their purposes, especially brushes. Have you seen how many makeup brushes there are? And let’s not start talking about their names because you’ll loose me. So, in an effort to get it straight and narrow down what we all really need, here’s a list of 9 essential makeup brushes. 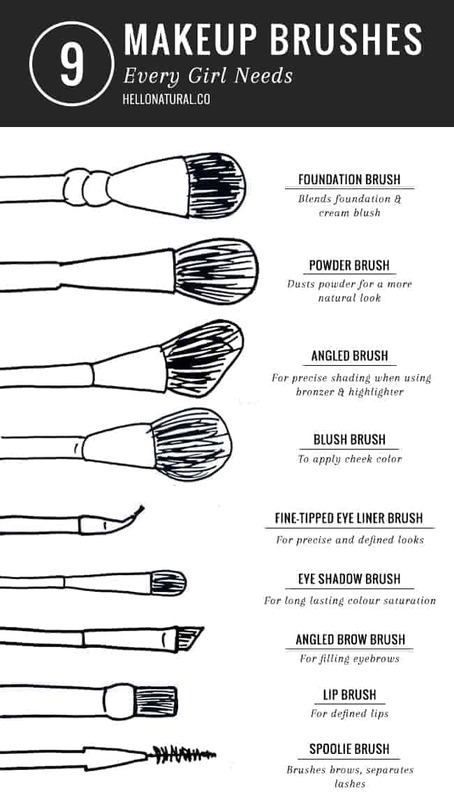 Very interesting information about makeup brushes. Thanks for that. I have follow your posts. They are really inspiring. How do you write such a good content? I`m blogger too. What’s inspire you ? Thanks for info. Keep going forward and do not listen to negative people. This is awesome! I think I’ve used or tried all of these at some point and totally agree that these are essentials! Also, that nifty little graphic you created? Love it! I recently started using a Sigma F80 (flat kabuki) for foundation and I LOVE it!